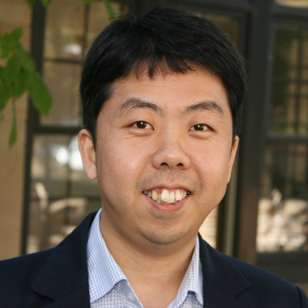 Yong Yeol Ahn, an associate professor of informatics and computing at the School of Informatics, Computing, and Engineering, has been honored with a Minerva Research Initiative Award by the United States Department of Defense. The initiative, which was launched in 2008, supports basic social science research that focuses on topics of particular relevance to U.S. national security. Ahn was joined in his research by SICE colleagues, including Associate Professor of Informatics Staša Milojević, Professor of Informatics Alessandro Flammini, and Professor of Informatics and Computing Fil Menczer. Former SICE professor Sriraam Natarajan, now at the University of Texas at Dallas, also was part of group. Ahn’s team plans to develop Science Genome, which is a new quantitative framework to investigate Science of Science using representation learning and graph embedding. The project will take advantage of the availability of digitized bibliographic data sets and powerful computational methods, such as machine learning with deep neural networks, to tap into hidden information present in complex scholarly graphs. The initial idea for the project was born from the complex systems reading group at SICE, where students and faculty members discuss papers. The group read a series of machine learning papers and discussed how they can be applied to network science and related fields, which led to the development of the novel ideas that became part of the proposal. Ahn’s proposal, “Science Genome: A Scholarly Graph Embedding Framework to Uncover the Fundamental Dynamics of Scientific Enterprise,” was one of 12 selected for the prestigious award following a merit-based competition in which the proposals were peer-reviewed and selected in conference between the Office of the Under Secretary of Defense for Research and Engineering and the Office of the Under Secretary of Defense for Policy.